If you’re a busy parent looking for kid-friendly recipes, this Slow Cooker Chicken is just the ticket. Did I mention the prep time for this crock pot chicken is just 8 minutes? 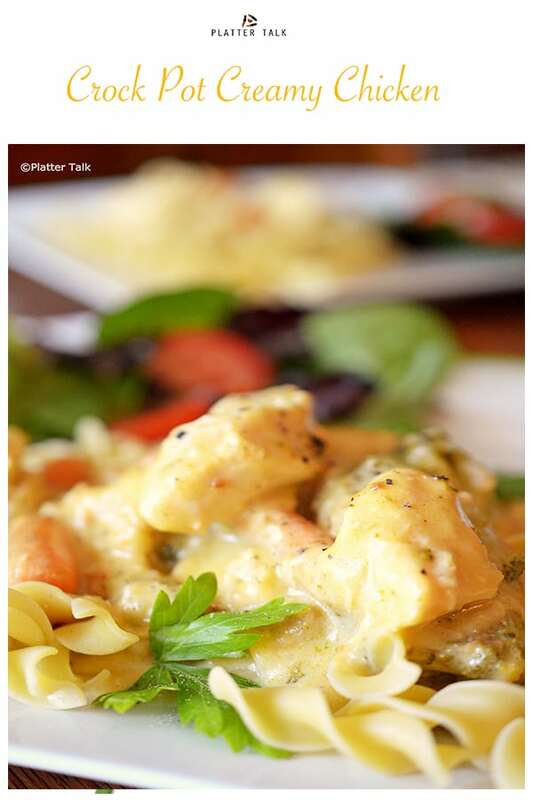 Now let’s find out how to make this slow cooker chicken breast recipe, time’s a-tickin’! Looking for some boneless skinless chicken crockpot recipes? 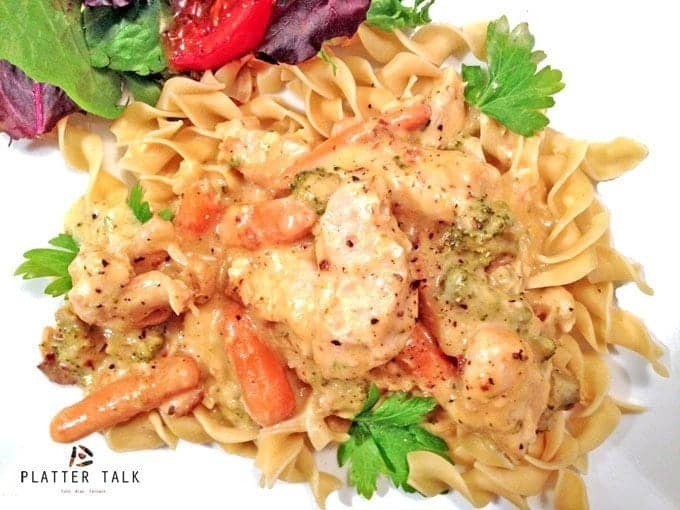 You just hit the jack pot with this slow cooker chicken recipe! Have you ever taken a scavenger hunt in your freezer? Dan did last night and found some frozen chicken tenderloins. He was nice enough to take them out and put them in the fridge. However, I did not discover this until 10 minutes before I left for work this morning. Always trying to make up mew kid-friendly recipes, I wondered what sort of chicken tenderloins recipes I could make in less than 10 minutes before I left for work? This sounded like a challenge, and I was completely up for it. Game on. This slow cooker chicken recipe is can also be made in the oven! Have you ever made a cake in your slow cooker? 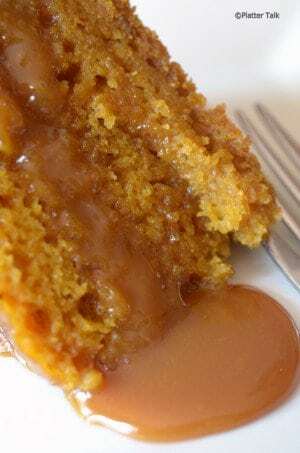 This slow cooker pumpkin cake is one of the best things to ever come from our kitchen. As the clock was ticking. I only had 8 minutes until I had to leave. Next stop the pantry. After shuffling around a few boxes and some cans, I hit pay dirt. A family sized can of cream of chicken soup. Take The Crock Pot Challenge and Make one of the most delicious chicken tenderloin recipes ever! Now I know that some of you may be shaking your heads at me right now, but I only had 7 minutes to go. I knew that the cream of chicken soup would make a flavorful base for the sauce. So with 6 minutes left, I went back to the fridge. Quickly I pushed aside the milk and yogurt, and there it was, the next component of this crock pot challenge, sour cream. Next to that was minced garlic. I sometimes use that for convenience, and boy did I need that now. Boneless skinless chicken crockpot recipes like this are a breeze to make with your slow cooker! I wasn’t sure where this was going, but I did like the direction it was taking. As I looked down the open refrigerator, I decided to pull open one of the drawers where all of our cheeses live. I knew that I did not have time to cut any cheese (insert your joke), but I did have a bag of sharp cheddar cheese. As sweat poured from my brow, I grabbed it. I did not have time. I needed to make a quick decision. OK, maybe I am a little dramatic, but go with it. 4 minutes to go….. 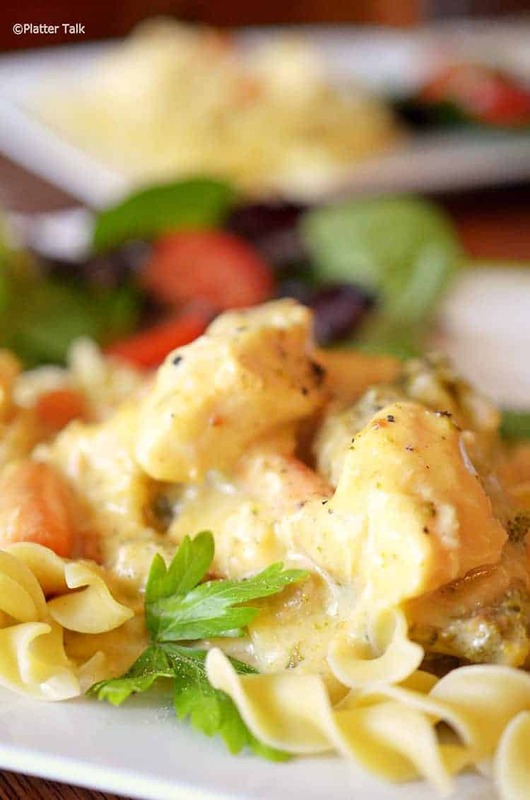 This creamy slow cooker chicken may be one of the best crock pot recipes ever. Off to the crock pot, I flew. First I opened the can and threw in the soup, followed by the sour cream and a handful of cheddar cheese. Frantically I mixed this to incorporate. Then some minced garlic was add followed by salt, pepper and some onion powder for taste (mainly because I did not have time to chop on onion). After stirring that together, I added the chicken tenderloins. They were still a little frozen, but what choice did I have? 3 minutes……Ugh. 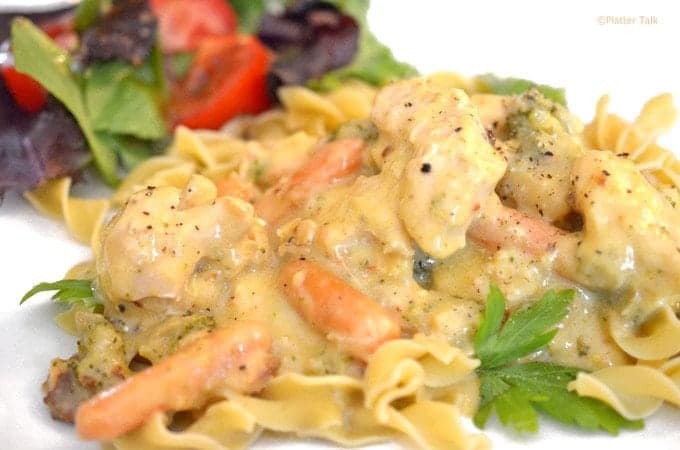 Serve this slow cooker chicken over a bed of noodles. I was pleased with this combination, but I knew that something was missing. Oh yeah, vegetables. That was it. Game over. I could never chop veggies and add into the crock pot in 3 minutes. But wait. I remembered seeing a steam bag of veggies in the fridge. You know what I mean? The prepackaged fresh vegetables that you just put in the microwave and cook. It’s not often you can sneak a healthy portion of veggies into kid-friendly recipes. The frozen veggies are a game changer if you’re short on time Quickly I ran to the fridge to retrieve them. 2 minutes to go. I tore open the bag and poured into my crock pot. Added a little salt and pepper and placed the cover on the crock-pot. With one minute left to go, I turned the crock pot on to low and stood back. As if I just won the World Cup, I gave myself a high five and basked in my glory. This is going to be one of the best chicken tenderloin recipes ever, I just knew it! After coming back to my senses, I grabbed my computer bag, my cup of coffee and headed out to start my workday. While I know that this may sound a little far-fetched, those of you with children or with busy lifestyles know that this type of thing happens every day. It gets harder and harder sometimes to find easy and quick meals to make for your family. This Slow Cooker Creamy Chicken is one of the best boneless skinless chicken crock pot recipes you will ever make! Make this meal in the oven! Place in deep casserole dish or Dutch oven. Bake at 400° F for 30 minutes covered, with either foil or lid. Serve with Crusty Homemade Bread and Roasted Garlic Squash. Also seen on Weekend Potluck Roundup! 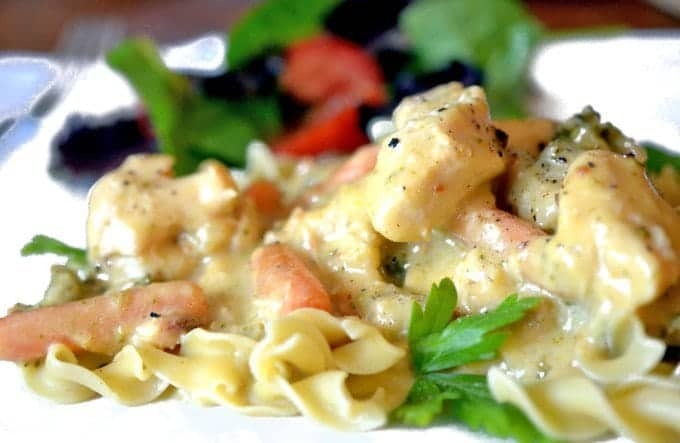 Slow Cooker Creamy Chicken - 8 Minute Prep Time. Quick to put together, the great taste and memory of this boneless skinless chicken crockpot recipe will last a long, long time! This is one of the best kid friendly recipes that our whole family loves. Combine in a crockpot cream of chicken soup, water, sour cream, minced garlic, cheese and salt and pepper. Add chicken into sauce mixture, make certain to cover chicken with sauce. Add the vegetables on top of sauce and then add salt, pepper, and onion powder to taste to the vegetables. Cover and turn crock pot on low. Cooking times will depend on how thick chicken is. Because I used chicken tenderloins which are thinner, chicken was done after 4 1/2 hours. If using a thicker chicken breast, continue in the crock pot until fully cooked. Before you are ready to serve, prepare egg noodle according to directions on bag. Stir sauce in crock pot prior to serving. Pin this boneless skinless chicken crock-pot recipe for later.